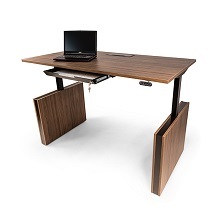 The Vili desk creates a spacious, functional, and stylish workspace for your corporate or home office. 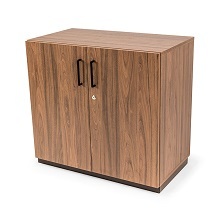 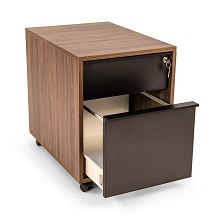 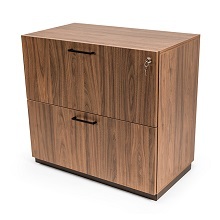 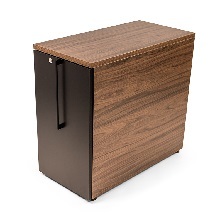 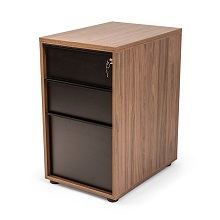 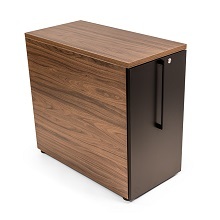 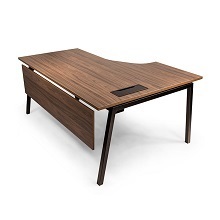 Vili's desktop and modesty panel are made from dark walnut melamine with a rich hue and high quality finish. 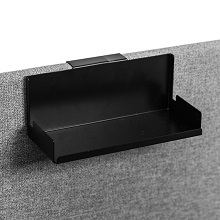 What's more, Vili has a built-in wire management system and cable tray, concealed by a black-painted metal plate. 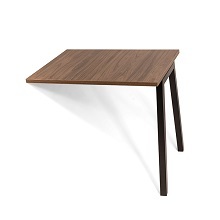 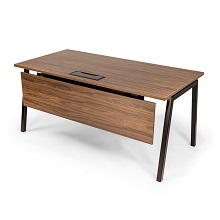 Minimalist in design, the angled front legs of the desk and clean, linear silhouette add subtle style and flair. 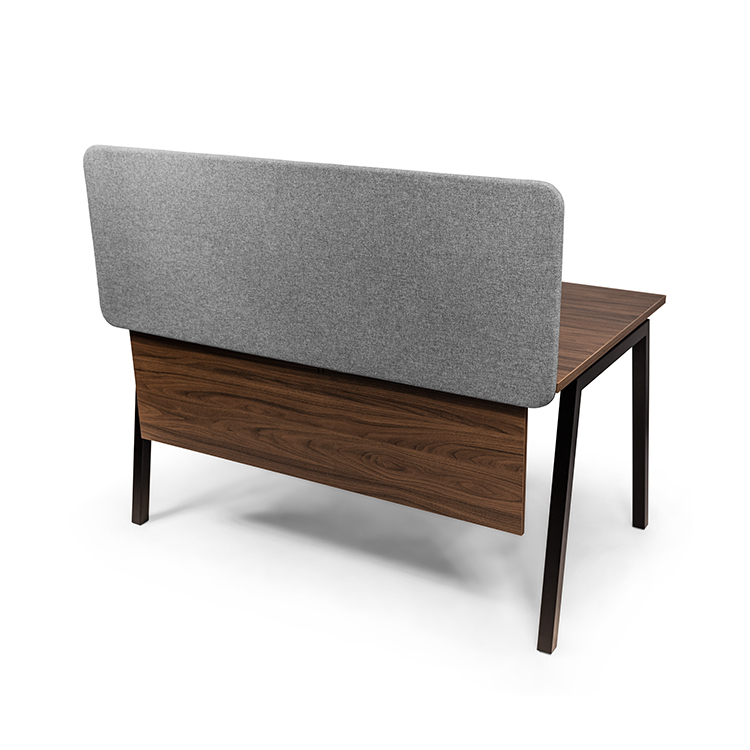 Additional configurations and items from the Vili collection are also available. 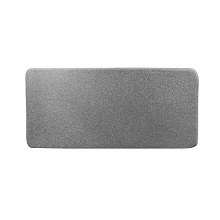 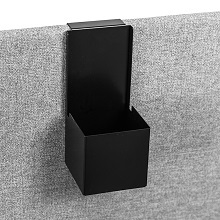 The grey privacy screen, hanging pencil holder, and hanging tray, pictured here, are available for purchase at additional cost.